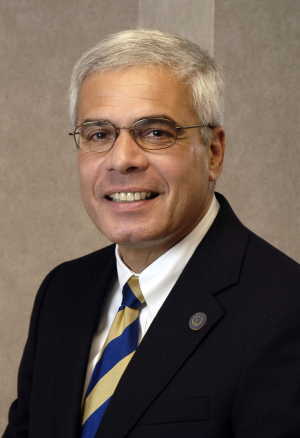 Joseph Rallo is the fifth president of Angelo State University. He assumed this position in May 2008. Rallo earned his bachelor's degree in Russian history from Lafayette College, Master and PhD from the Maxwell School at Syracuse University and a law degree from Western New England College. His academic specialization in Russian history, global business policy and the law While at Lafayette he joined Delta Tau Delta International Fraternity ..
Joseph Rallo has taught at Rutgers and the University of Southern Colorado and Western Europe Program Director and Associate Professor of International Relations in the United States Air Force Academy and served as Director of International Programs and Associate Professor of International Business at Michigan Technological University. Since its entry into the College of Administration, he served as Dean of Business at Ferris State University, Dean of Faculty and Graduate School of Business Administration at the University of Colorado at Colorado Springs, Colorado Director of the Institute for Technology Transfer and Implementation and the Provost and Vice President of Academic Affairs at Western Illinois University. He also served as a Fulbright Scholar and a fellow NATO. He testified before congressional committees Science, Space and Technology and grants last business associates to the U.S. Department of Education Business and International Education Program and the U.S. Department of Education Undergraduate International Studies and Foreign Language Program as an expert on the topic of International Business, European Union and the addition of Aerospace . in his academic career he has served in the United States Air Force in both active and reserve duty. He retired in 2008 at the rank of Colonel.